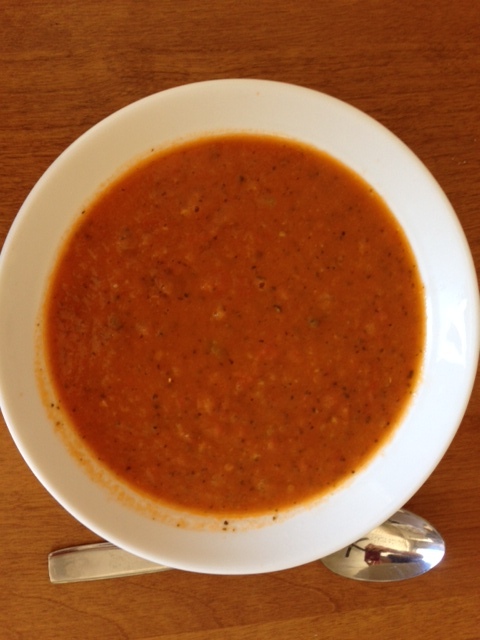 One of my favourite soups of all time is tomato. Growing up my favourite was Heinz brand and I could not stand Campbells’. Yes I’m talking the canned variety. Since moving to a grain free lifestyle, our diet no longer consists of most prepared foods. We prepare everything from scratch for the most part. This has been sad for me. At times I miss the convenience of having prepared food in my cupboard but I also enjoy exploring the flavours of fresh foods and am proud when I have culinary success! 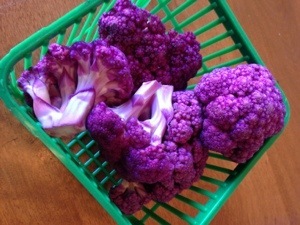 Many weeks when I write out the blog on what is in our CSA bins for our customers I seem to mention a theme. Well for this week the theme would be big or heavy. The bins are once again filled with amazing produce. When Shaun arrived to our house from the farm he wouldn’t let me carry them since I’m 5 months pregnant and all. The bins are full of an amazing bounty of produce that Tom and I can’t wait to dive into. What a week! This weather has been absolutely crazy! We go from a humidex of 45 C earlier in the week to a high of 13 on Friday. Crazy! Michelle ventured out to the farm this week in the heat to pick up our bins from the farmer. What a hot trip that was for her.